We are smack in the middle of it- life. It’s a whirlwind of here to there and check this off and oh! it’s time to eat again. Yet somehow when people ask so what is going on with you guys? I end up saying same old same old. From the outside it probably doesn’t look that hectic or exciting but it is a full phase of life and I am just trying to keep up while collecting the moments. I’m happy. And here is what happy looks like in March, 2017. That about sums it up! Haha, but really, these two keep my hands and heart full. We baked these peanut butter cookies this week and I promise the girls didn’t lick their hands until they were finished rolling the dough in the sugar. At least not that I saw. 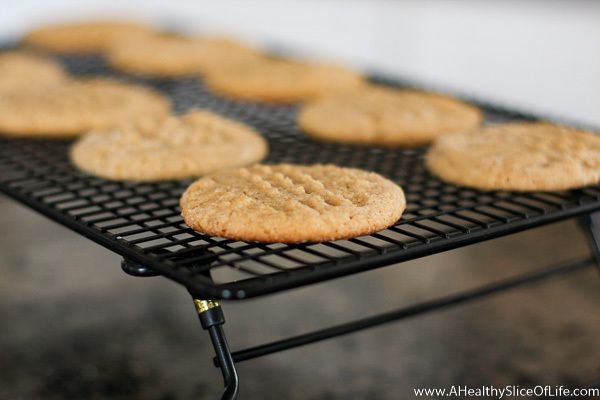 They were so easy and really good (of course they are- butter, sugar, peanut butter…). We took some to a neighbor who had a rough week. 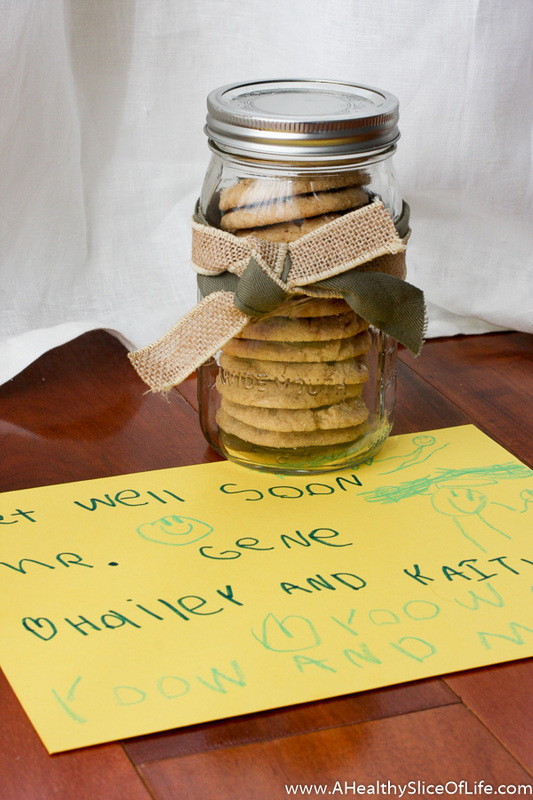 Taking cookies to our neighbors is the girls’ most requested activity. However I do think it has something to do with having permission to ring doorbells. Completely unrelated, did you know you aren’t allowed to take pictures in Aldi? I was told that right after I snapped this with my phone. Needless to say, I won’t be doing the detailed tour of my first visit ever, but I really had some eye popping moments as I wandered the aisles. I’m heading there first today then heading to Whole Foods. I think it may be worth the drive budget-wise to work it into our routine. 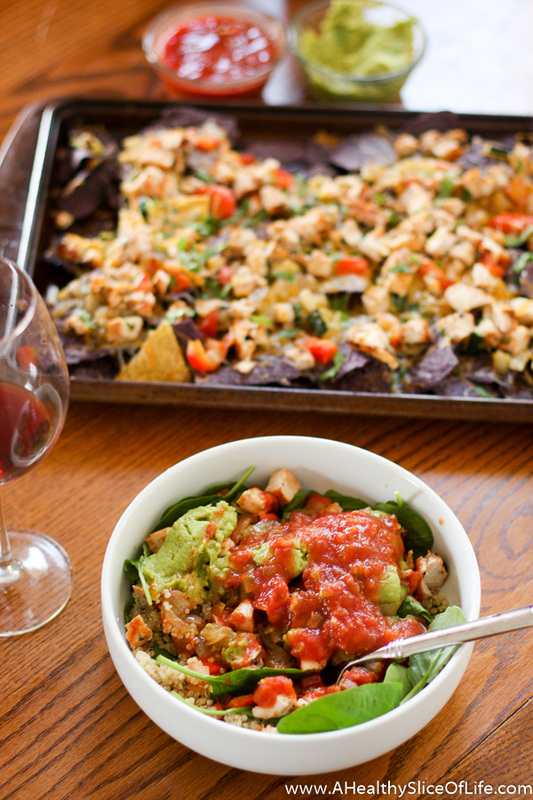 Quinoa and greens are good and all, but I would have preferred to just have nachos like the rest. In the girls’ world, all is good. Kaitlyn is loving playing Sum Swamp as much as Hailey and we play no fewer than 4 games a day. I’ve been bringing home more library books each visit and reading an extra 3-4 at breakfast in the morning. 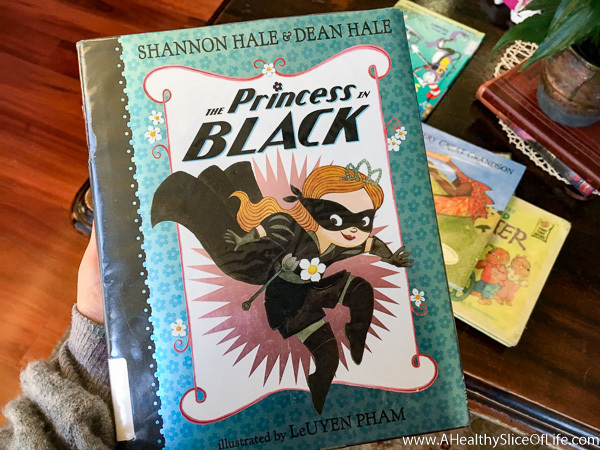 We also finally snagged The Princess in Black that I’ve heard so much about. The girls love it! My friends with boys say they love it too. Short chapters and a fun story line. I’ll definitely be checking out the other books in the series. 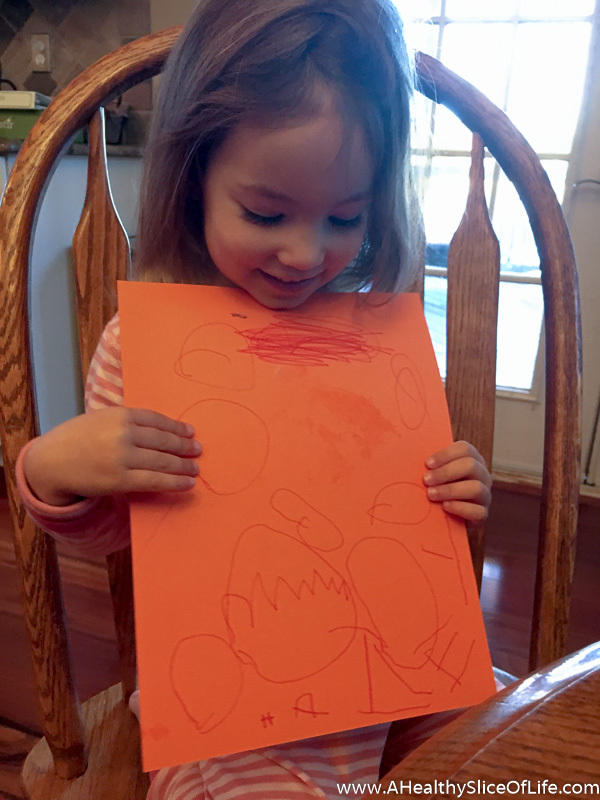 Kaitlyn drew Hailey this Easter picture (it’s an egg hunt- clearly) and was determined to write her big sis’ name on it. Yes I spelled it out for her and told her how to make an E, but the rest is all her. 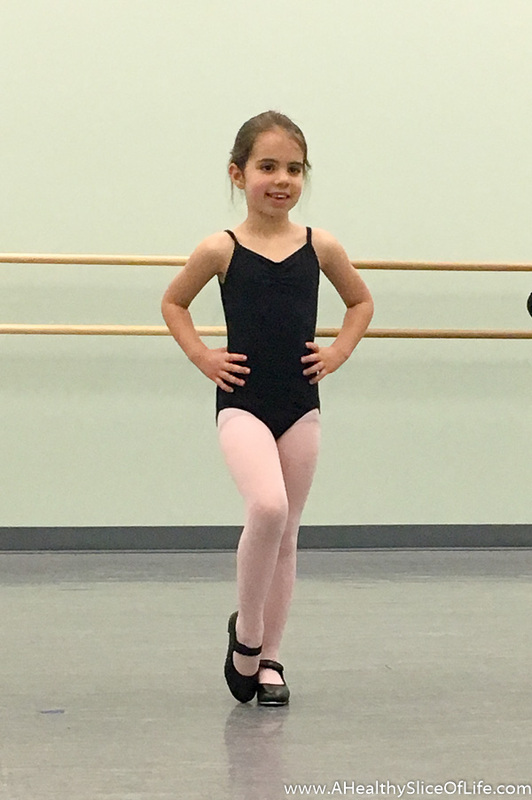 Isn’t it crazy when it feels like overnight your child learns a new skill? How do they do that?! In my world… that bathing suit I ordered showed up! I am bummed I missed the chance to star in the new Baywatch (cry laugh emoji), but I’m going to keep it anyway. I like that it is a one-piece but doesn’t scream mom to me. The back is cute and strappy. I wish the backside covered a little bit more of my backside, but it’s not like I’m going for long runs in it, so I think it will make a great boat/hanging out at the pool suit. It does scream mom to me, but I am a mom and will need to be jumping around in the pool and lake and it holds me in and stays up quite well, so I’m keeping it too. In other random shopping news, buying a full length bridesmaids dress when I’m only 5’1″ is no joke. I just need about a foot taken off please! Just kidding, this dress got returned and I’m hoping my next option is a little more fitting (literally). I’m so excited that one of my college besties is getting married in July and I’m honored to be included! But first, the bachelorette is going to be in Ft. Lauderdale in June. Any restaurant/bar/activity suggestions?? Back to the day to day… it’s been a full week with new activities added into our routine like Hailey’s tennis lessons (now I really want to take tennis too) and her new music class. 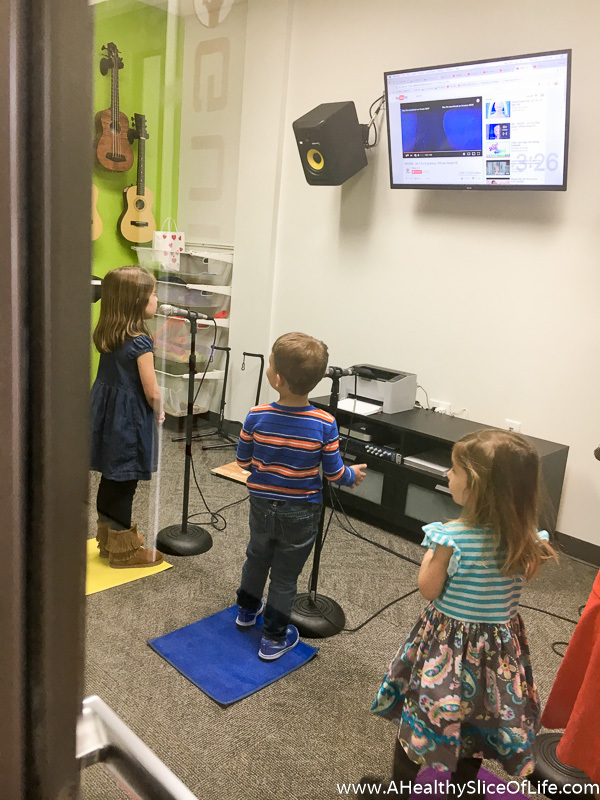 I really am cautious about over-scheduling my kids, but with homeschool starting in the fall, I want to have some solid activities lined up in our routine. Many thanks for David for allowing this moment to happen this week while he did solo bath and bed duty. That about sums it up. Happy, healthy, grateful. Always behind on something and wanting to do more at the same time, but I think that’s just life. I’m looking forward to a relaxing weekend and visit from Mema and Grandpa (the girls don’t know yet and are going to be SO excited!). If you’re up for it, share with me something that is going on in your life right now, or maybe what you have planned for the weekend? Both of those swimsuits look great on you! Something going on at our house this weekend is starting baby led weaning!!! I’m a little excited 🙂 I found all of your posts on BLW SO helpful, so thank you so much for all of the great tips! 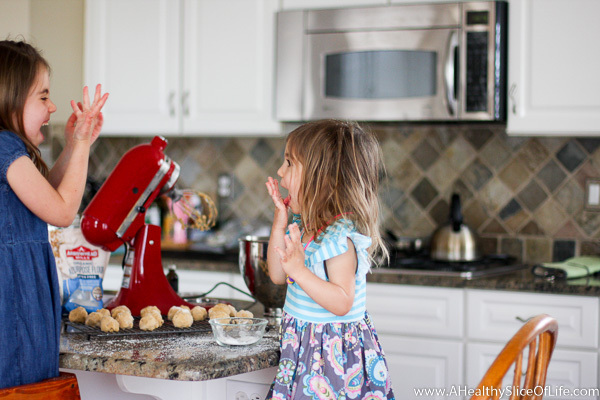 montessoriishmom recently posted..Looking Forward To…. Ah, such a fun weekend ahead for you!! Watching babies explore food is just the best. Good luck!! Planning to go see Beauty and The Beast this week and am so EXCITED!!! Ooh, I really love those suits! I have been putting off that task for obvious reasons, but living in NC, I guess I need to do that sooner rather than later. Love the bridesmaid dress too…..so classy! Have a great weekend! Heather recently posted..Coming Next Week on the Blog! Hi-I love your blog, and I really like both suits on you 🙂 I just wanted to let you know lately the ads on your page have been covering up a lot of your content and I am having a hard time viewing pictures and reading words in certain areas of your posts. Oh no- thanks for the heads up! I am going to look into it this afternoon- how are you reading- mobile, desktop, bloglovin? Thank you! Adrianna pappel has a lot of petite options on their official site (and if you sign up for email you get 15% off). 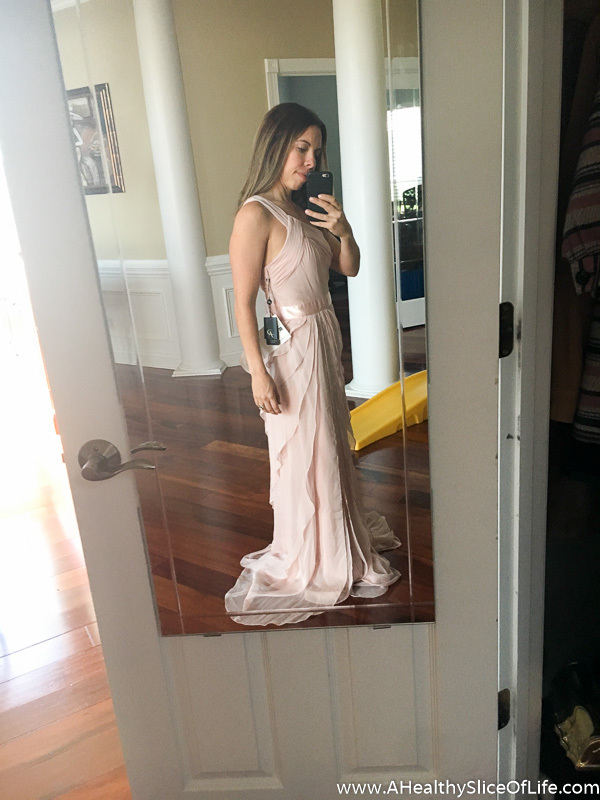 I’m 5’1 also and ordered the beaded blouson gown for a bridesmaid dress and it fits perfectly! From Macy’s (for around $180 on sale). But they have other colors on the AP website too. I can’t wait to wear it! Oh I love it!! One of my best friends bought that as her bridesmaids dress for this wedding and since the bride wants us all to have different dresses, I couldn’t order the same one. So pretty! Love little life as it is updates! We have a busy weekend- sigh arent they all? My husband is on the awards committee for his police department and is actually getting an award so we have that Saturday night. I was planning a sitter but my wonderful parents offered to keep the 16 month old 🙂 Dare I say SLEEP IN on Sunday? I think I might! A brunch and shopping with a friend and her little boy then Sunday spend some time working in the garden that REALLY needs to get planted like tomorrow. Congratulations to your husband!! That’s incredible! And yay for a night out and a (dare I say) even more incredible slow morning 🙂 Hope you enjoy it all! Oh man why are alterations so expensive?? I’m trying to avoid any alterations beside length, but not sure I’ll be able to swing it. Have you tried to resell the dress you wore on poshmark? or ebay? I have friends that have had a lot of success with that! Red hot momma is more like it! Love the bathing suites. This weekend is going to be low key as we knock out a few house projects! Oh thank you! (blushes) Home project weekends aren’t the most wild, but my goodness they feel good after you knock stuff off the list. Good for yall! 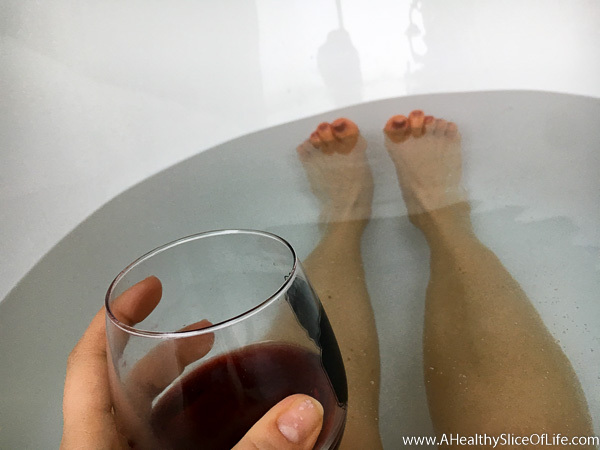 Love these life catch up posts and love both bathing suits and good call on the wine in the bath. My in laws are coming this weekend and we are taking the local train from a nearby town to a few towns over to walk around and grab pizza. My 3yo son is going to love the train ride. Oh that will be amazing!! H and K would freak if we got to ride on a train. Have fun!! Both bathing suits look great! When you first posted about the top one I ordered it in teal and just got it last night. It fits great and definitely doesn’t scream mommy! I know exactly what you mean about the backside not being as covered as I would like, but still, I love it. Thanks so much for sharing the idea. I hadn’t gotten a new suit since my second child was born and this will freshen up my summer wardrobe. Have a great weekend! Awesome, I’m so glad you like it too! I kind of want to order another in a different color- love the teal! Both of those suits look so good on you! I’m in the market for a mom suit and may have to copy you! This weekend I have my mom in town visiting from California so we’re just taking it easy and enjoying having her here! I totally agree! I always feel like I should be doing more and wish I was doing less, haha! Hailey in her ballerina gear is adorable and I love the suits! We are have a special date night this weekend to discuss our baby name lists, which we haven’t shared with each other. Who knows? She could have a name by tomorrow! But we do love classic, traditional names, so it won’t be anything crazy. Cute suits! Both of them. Big basketball game for my Kansas Jayhawks tomorrow night! Hope they win!!!!! That picture is of your local Aldi? My gosh, if ours looked like that, I would totally go there more! 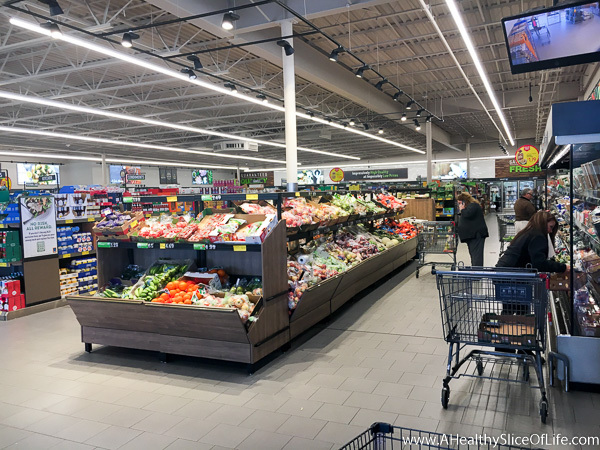 I had read so much about all of the good things about Aldi, so I went to one near us and it was so utterly disgusting, 0 fresh produce, I ran out of there as fast as I could!! I’ve totally taken pics at Aldi. Didn’t realize it wasn’t allowed! Oops! I love your bathing suits! The 2nd one looks great- totally not mom suit at all! Where did you buy them from? I’m going to see the Beauty and the Beast movie this weekend! Oops never mind, I saw you put links for the suits. Awesome! You look great in both swimsuits & the bridesmaid dress is beautiful on you! It just needs hemmed. 😉 Have a great wknd! Hi Brittany!!! I lived in Ft Lauderdale for almost 20 years….Bahia Cabana on the strip (A1A) is a fun, open place to eat and drink!! If you go, you have to have the Rum Runners there…well actually, anywhere you go in Ft Lauderdale is bound to have Rum Runners!!! Also, the mahi mahi sandwiches there are to die for!! Bahia Cabana is also on the Intracoastal and you can hop on the Water Taxi and cruise the waterways. The Water Taxi stops there numerous times…and also stops at other bars/restaurants along the Intracoastal. Not sure how long you will be there, but that could be a blast to do with the girls!!! I’m so jealous..it’s been 13 years since i moved and i miss it!!! Have fun!!! I’ve been feeling like my life is SO not “blogworthy” lately, but you’re right- sometimes the day to day is worth sharing! Thanks for the reminder, loved this post.